Spread some holiday cheer with a Holiday Loan Special! Whether you’re shopping for loved ones or splurging on yourself or needing a vacation now’s the perfect time to spree with glee. 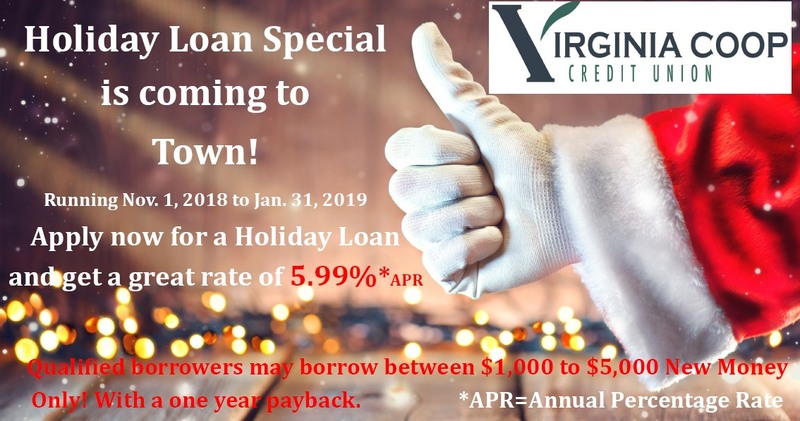 Holiday Loan Special—running Nov. 1, 2018 to Jan. 31, 2019. Qualified borrowers may borrow between $1,000 to $5,000 New Money Only! With a one-year payback. Call Don or Hannah at 218-742-5644 for details or apply online. Have Fun on Your Shopping SPREE!